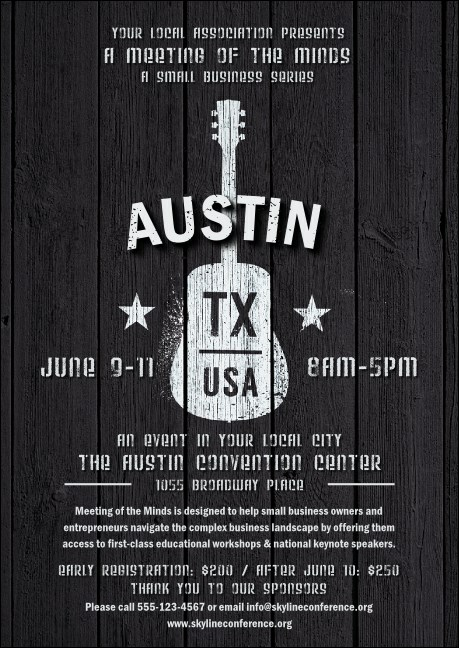 Take pre-event advertising in the capital of Texas by storm when you print Austin Music Postcards and send them out in advance for your live event. These Postcards have a classic black and white color scheme and an urban design that shows a white guitar spray-painted on a black wooden background. Centralize your Texas promotions at TicketPrinting.com.